I have been reading like crazy recently as I have so many amazing books to get through. That is thanks to the massive book haul I did a few weeks ago. Luckily all the books I read so far were an enjoyable read, so of course you want to hear my tuppence worth about what they were like. You may be thinking why in the name of God I am reviewing the very first Harry Potter book. 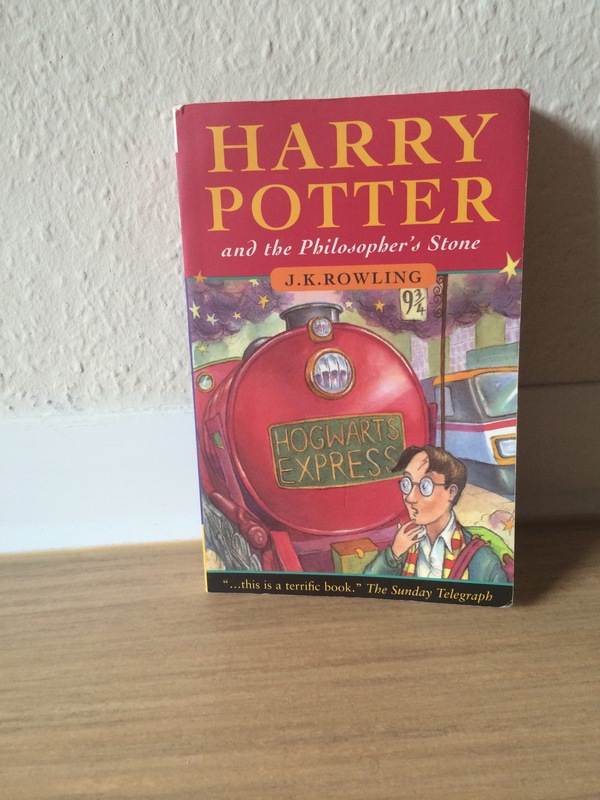 Yes, I am aware that Harry Potter and the Philosopher’s Stone has been around for a long time now, but there are still some people in the world who haven’t read it. At the ripe old age of 26, I was skeptical about reading the Harry Potter series; I thought I was much too old for such fantasy stories. Well, was I wrong! I got totally swept up in the magic of the story. It was a great ‘escape read’ and I truly recommend it not only for kids, but for adults who want also want to mentally get away for a while. As I have never read such books before, the story was completely new and original for me. This may not be the case for others though as I presume there are similar books on the market. Anyway, the main point is you are never too old to jump on, and enjoy, the Harry Potter bandwagon. I can’t wait to get my mitts on the other books in the series, and of course watch the films, and ultimately go to Harry Potter Land. This book was given to me by my sister and admittedly, I would never have bought a copy myself based on the cover. I thought it was a fantasy, or at the very least, a book with a spiritual element. It was neither. Instead, it was just the story of an ordinary man who decides to go on a pilgrimage across England in the hope it will save an old friend dying from cancer. I felt that this was not a very exciting story, even though it should have been. It was quite ordinary, which I guess reflects on the fact that this story is about ordinary people. 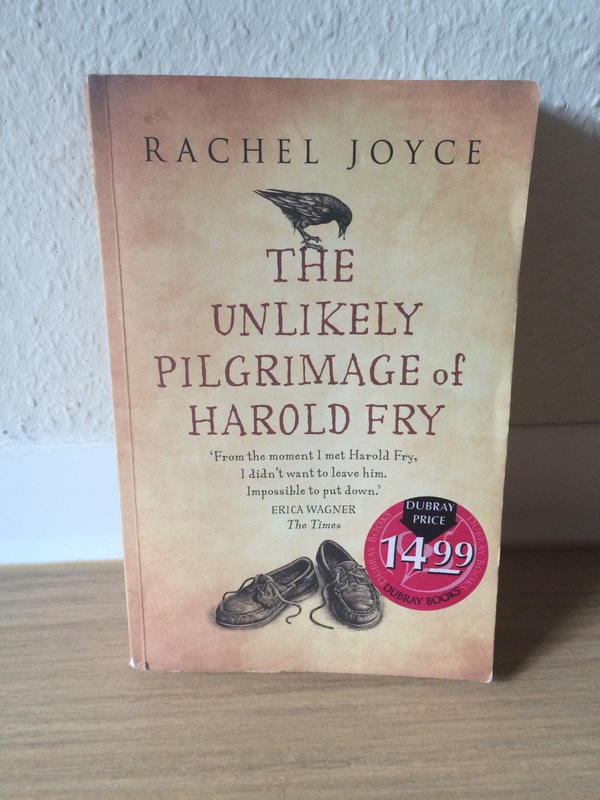 One can certainly see how ordinary Harold Fry is throughout the story. That is not a bad thing too; ordinary is not bad. Nevertheless, about halfway through the story, I found myself getting caught up in emotion as it starts to delve into love, loss, and life in general – ordinary, everyday feelings. It makes the story raw and real. While not the most exciting story there is, it is worth a read to feel the emotions it stirs up inside. 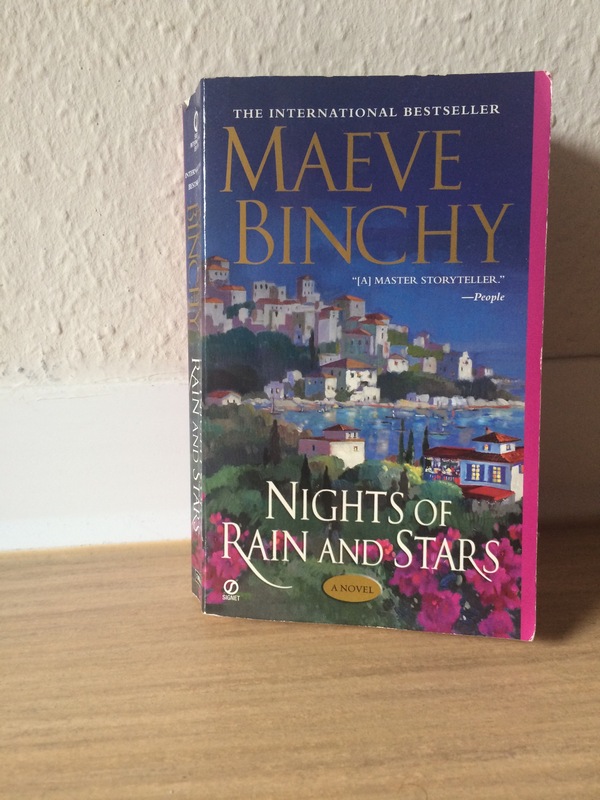 Maeve Binchy always write an enjoyable story. Fact. This was a pleasant and easy read for me. It is centered around a group of people from different parts of the world who have run away from their problems, and found themselves in the small Greek village of Aghia Anna. A boating tragedy occurs while they are dining at the same taverna and, or course, they all bond over it. All the characters are likeable bar one because not everyone in life is good. I found it pleasant to read this story, but I never really got sucked in or felt myself relating to the characters. None of them really stood out to me, and I suspect it would be the same for a number of people. The story itself was also a bit predictable which had me skimming over parts. This for me was a good book to pass a few hours at the beach, or during a long car or train journey. So, that is what the last month has brought me reading wise. I still have a lot more books to get through and will be happy to post some reviews here. I would also like to hear what you thought of the above books. I do love a good book debate! All of the titles (bar Maeve Binchy, sorry lads) can be found on The Book Depository website for a reasonable price. There is free delivery too and books can be found in languages other than English. Perfect if you are an expat like me. Just click on here to go right there!